Alphabet Jigsaws is an Irish company, based in the west, that has been designing, producing, wholesaling and retailing wooden jigsaw puzzles for the past 5 years. We sell an extensive range in bright eye catching colours and in various shapes and sizes, all painstakingly cut out and carefully painted by hand. Created by an experienced designer and artist with the help of parents and teachers, our products are intended to both entertain and educate young children, by familiarizing them with their numbers and letters. Each jigsaw piece is hand lettered, numbered or detailed accordingly to very attractive effect. In using animal shapes popular with young children. Hand turned bowls, lamps, mirrors, candle sticks, platters, wall shields, one off pieces and bog oak sculpture. All the work is created using kiln dried Irish woods. I also produce tables and other furniture in Irish hardwoods. Commissions are welcome. Handmade Fairy Folk to bring a little magic into your life. also fairy doors.fairy gardens and fairy furniture. We design and cast a range of jewellry and ceramics designs following traditions of megalithic and celtic art. Our craft industry is run in conjunction with a writing/publishing/research operation. Most weeks the stall is run by the main author / designer, Jack Roberts. Beautifully hand crafted but modestly priced jewellery. The complete range is only available on Galway Market. Our jewellery range has proved a very popular item for visitors and tourists for over 7 years. We also produce cast ceramic wall plaques with unusual themes such as sheela-na-gigs and other unusual themes. All of our craft items are packaged with information leaflets. Spirit of Ireland is a small company based in County Galway and Co Clare Ireland. Specialising in Connemara marble jewellery made in contemporary designs, and unique glass and water jewellery holding water from the Holy wells and shores of Ireland. 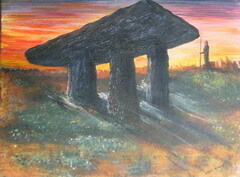 visit our online store www.spiritofirelandarts.com or contact spiritofirelandarts@gmail.com for custom orders. Paintings by Chris Murray from life, from (mainly) my own photographs, sketches, memory, imagination and inspiration! also handmade jewellery. Comissions welcome. Now living in Kinvara, County Galway, I was born in The Deise (County Waterford). I started painting 7 years ago, and have exhibited at Carlow Eigse Arts Festival, at Kilkenny Arts Week, at Garter Lane Arts Centre with Waterford Homecrafts, and at Galway Arts Week. . I also exhibit at the Kinvara Market on Fridays (10AM - 2PM, April - October) and the Nicholas Street Galway Market on Sundays, 12 Noon - 5PM, weather permitting. All the work is hand-thrown and finished and uses glazes from natural raw materials and fired in reduction in a gas kiln. Connemara Socks - Heavy duty Woollen blend Socks Produced in Connemara by our small family run business, Connemara Socks offer a range of socks in beautiful colours for every walk of your life, for rugged outdoor work, for hillclimbing, for the organic farmer or the urban business man - for everyone whose feet demand comfort with durability and style. 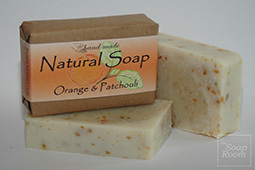 Natural handmade soap scented with pure essential oils and coloured with herbs and spices. Minimal packaging - kind to your skin and kind to the environment! Using the techniques of piercing, sawing and inlaying, Juliette hand-cuts unique pieces of jewellery, using local Irish hardwoods such as oak, yew, elm, cherry, various bogwoods and exotic hardwoods such as ebony, rosewood or boxwood. Each of these woods are unique in their beauty, offering a great variety of colors and grain patterns. Juliette honors these rare and valuable woods by creating unique pieces, and because she believes in eco-friendly hardwoods practice, she mostly uses (and recycles) the offcuts from the musical instrument making. offering very beautiful and intricate celtic patterns, which symbolize the eternal life as we contemplate the infinite cycles of birth and rebirth. Leathergoods. Belts bags etc, Celtic designs a specialty. Greeting card and fine print collection containing both Black & White and colour images from his photographic alma mater, Galway and Connemara. His library also contains images from all over Ireland as well as London, Paris, Brittany, Massachusetts and Iceland. Diana was borna in Latvia. Now she resides in County Galway. Diana studied painting in studio "Alla Prima", graduated Latvian Academy of Arts, painting department and acquired BA in A art. She is trained as a classical musician too. Her vibrant paintings shows Diana's looking at the world through the eyes of a musician. Her musical influences can be seen troughout this entire body of lyrical and engaging work. She has exhibited in Latvia and Lithuania, Germany and Ireland. Her artworks are located in private collections in Latvia, Germany, Norway, Denmark, Ireland, Israel, Netherland, USA and Russia. Music, nature and traveling experiences are what inspire her. Painting documents Diana's life like a diary. Individually designed knits, hats and scarves made from natural materials in Co Clare. I am an artist living and working in the West of Ireland. I make drawings,artists books,short films and beloved objects. 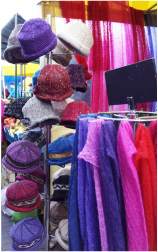 I also have a stall at the Saturday Galway Market (from mid march through till the last Saturday before Christmas) where I sell my handmade artists books, clothes that I have re-made,hats that I make in a old fashioned style.... vintage clothes and beloved objects. The Pine Rack is part of the Galway market since last year. I am a furniture maker producing traditional Irish pine furniture from new and reclaimed wood. 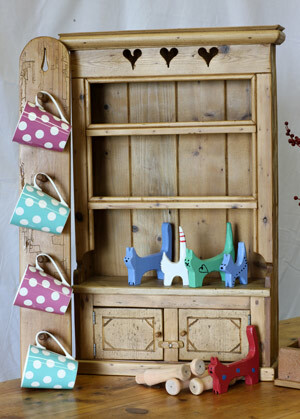 At the market you will find a range of mirrors, stools, boxes, racks, bookcases and coffee tables. I also take orders for larger furniture like dressers, tables, wardrobes and lockers to name but a few. All artwork is created by Mary Cahalan-Lee who is a career artist using the sobriquet "Pixi"
Beautiful handmade hats for children and the young at heart. The Soap Room is a small family business committed to deliver the nicest soap for the everyday care. Handmade products using only the finest ingredients, free from nasty additives, colorants and other artificial ingredients. Based in County Galway, in the West of Ireland, The Soap Room can be found in many local farmers markets and heath stores. These unique three dimensional paintings are moulded in Labstone plaster, painted in oil paints and tiled into the surrounding frames. .
Also on display are larger canvas paintings with a more surreal touch and painted in either oils or acrylics. We are a family run handcraft business. Our mission is to bring you jewellery and knitware that is funky and fun using vibrant and earthy colours. We make our jewellery through the process of enamelling which is an ancient craft practiced by many past civilizations including the Greeks, Egyptians , Celts and Chinese as far back as 3000 years ago. Thin layers of coloured glass are fused to the metal surface to create pictures, patterns or just pools of colour. All our products are made from fair-trade and ethically sourced raw materials and are handcrafted by ourselves in our workshop in Galway.